Water is a product that everyone knows is essential to life. Every adult needs to renew their water intake on a daily basis, and what better way to do that than with a premium product? 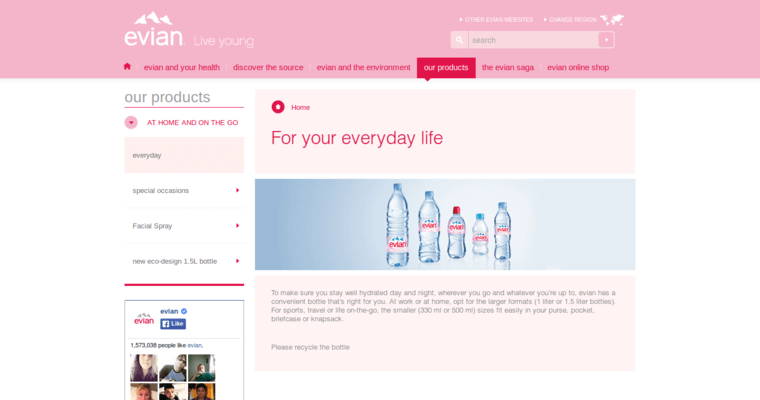 Evian is a very well-known brand of water that has been around for many years. 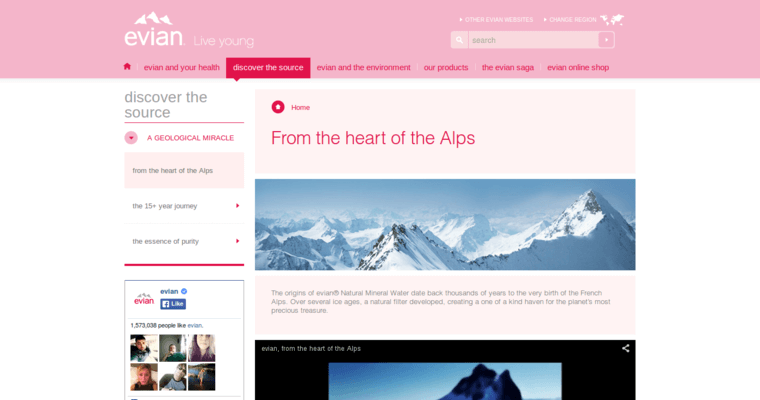 The Northern Alps is where Evian has been produced for a very long time, starting at the top of the Alps and trickling down through the mountains. As it slowly trickles, the water goes through a filtration process that gets any chemicals or impurities out before being passed on to the consumer. This water is as pure as the snow itself and has a fresh taste that cannot be duplicated. And with different bottle sizes and materials that are made from 100% recyclable materials, Evian has shown that they care about their customers and the environment in which they live.